Our guest for this week’s show is Mulitfamily expert and founder of the National Apartment Investor Group, Marty Cleckler. 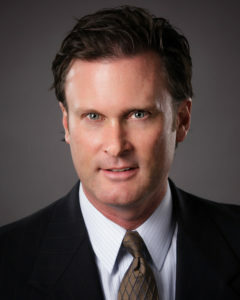 Marty has experience is all facets of multifamily investing and currently holds positions as a commercial appraiser who specialty lies in multifamily, a licensed real estate broker who’s core focus is apartment buildings, and last but not least as an active multifamily investor who has acted as a lead sponsor on numerous multifamily syndications. How Marty got his start in the real estate business as an appraiser and broker before moving on to becoming an active investor. How he ended up with 22 partners on his first multifamily deal and why he vowed to never have that many investors involved in one single deal ever again. His experience with outsourcing the management of his multifamily property during a massive rehab project and why he ultimately decided to bring it back in house and do it himself until the rehab was complete and the property stabilized. Why it’s usually the smallest of investors that cause the biggest problems and headaches during a syndication project. The huge opportunity that exists from the huge flood of millennials and baby boomers as it pertains to rental housing, specifically multifamily. The reasons that Marty suggests that buying in in-fill type markets is a much better play than purchasing apartments in markets where there is still large amounts of room for developers to build new apartments. The reasons to never shop by cap rate and why it really only pertains to the exit of a property. Why loopnet is considered the graveyard for commercial deals. Why building a database of properties within your desired your market or markets and getting to know those owners is by far the best way to find the best opportunities.